Cedar Rapids police say burglars broke took dozens of wedding and prom dresses from a local seamstress. Police say they broke into “Seams Easy” store and two other businesses sometime late Wednesday. The shop’s owner, Loiza Edgington, told KCRG TV that the burglars threw everything about looking for things to steal. She says she first looked for the wedding dresses and found them gone and then saw that the prom dresses were also taken. It’s believed they made off with at least 30 different articles of clothing, ranging from prom and wedding dresses to t-shirts. Edgington thinks the cost of the loss is about $10,000 in money in merchandise, and is a difficult situation to accept. “I just cried and cried yesterday waiting for my husband and police to come,” Edgington says. Valerie Porter told KCRG TV she found out her wedding dress for a June ceremony was stolen after getting a call from her seamstress. “I thought she was calling to say, hey you have an appointment come back in and I was in the car crying,” Porter says. “I really didn’t know how to take it.” It’ll be tough to track down those responsible because there’s no surveillance video or any witnesses. 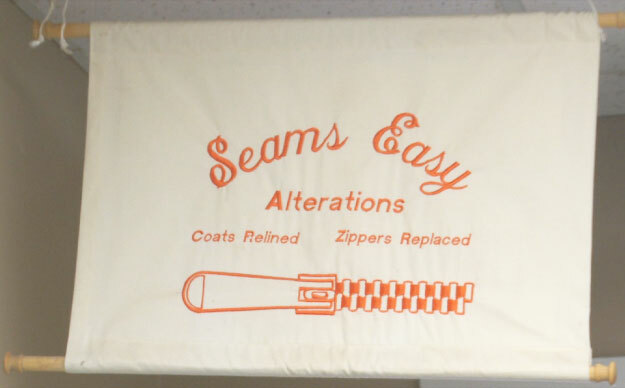 Seams Easy is asking anybody who’s seen any prom or wedding dresses at consignment stores, or even online, to call the store. Cedar Rapids police are also asking any information on the burglary to contact them or Crimestoppers. Meanwhile, Porter has a wedding to prepare for. She’s scraped together the money for a new dress and has ordered it. Even so, she and her soon to be husband hope the original returns.